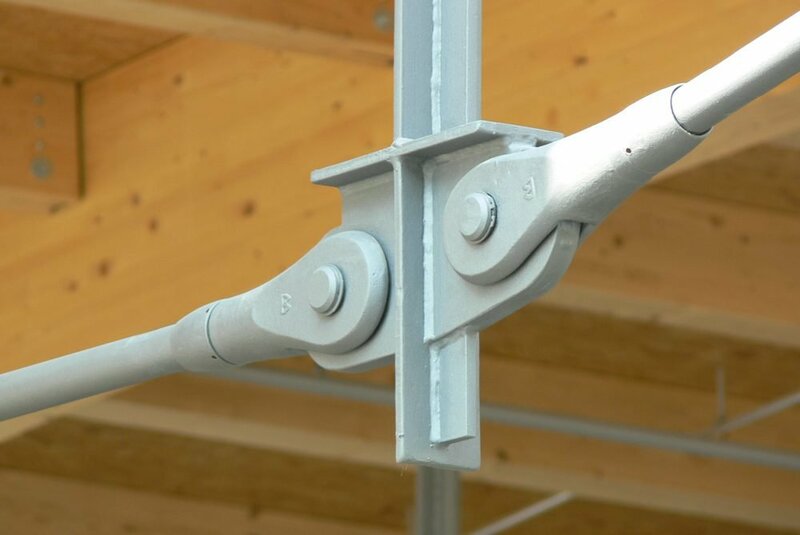 In modern architecture, it is important to bring the delicate design language of heavy-duty and safe tension and compression strut systems in line with the sophisticated and aesthetic lightweight construction method. 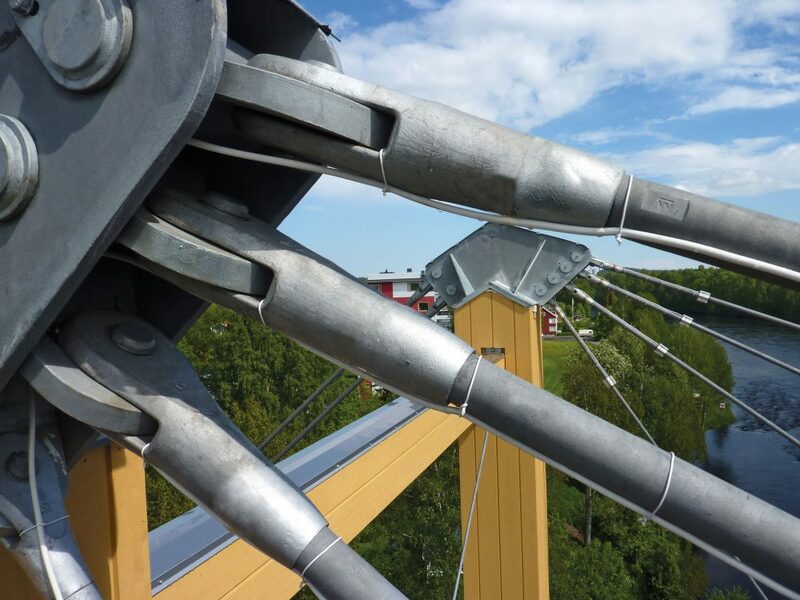 The m•connect Tension rod systems with European Technical Approval (ETA), made from unalloyed structural steel and stainless steel, are the ideal components for defined transmission of tensile loads in an economical and elegant manner. They are suitable for all types of suspensions and stays. Connection elements (e.g. 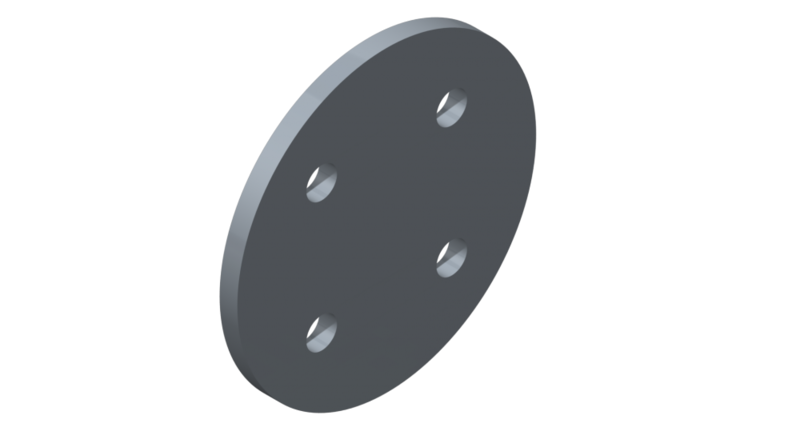 circular plates or cross sleeves) and connection lugs are an optimal complement. 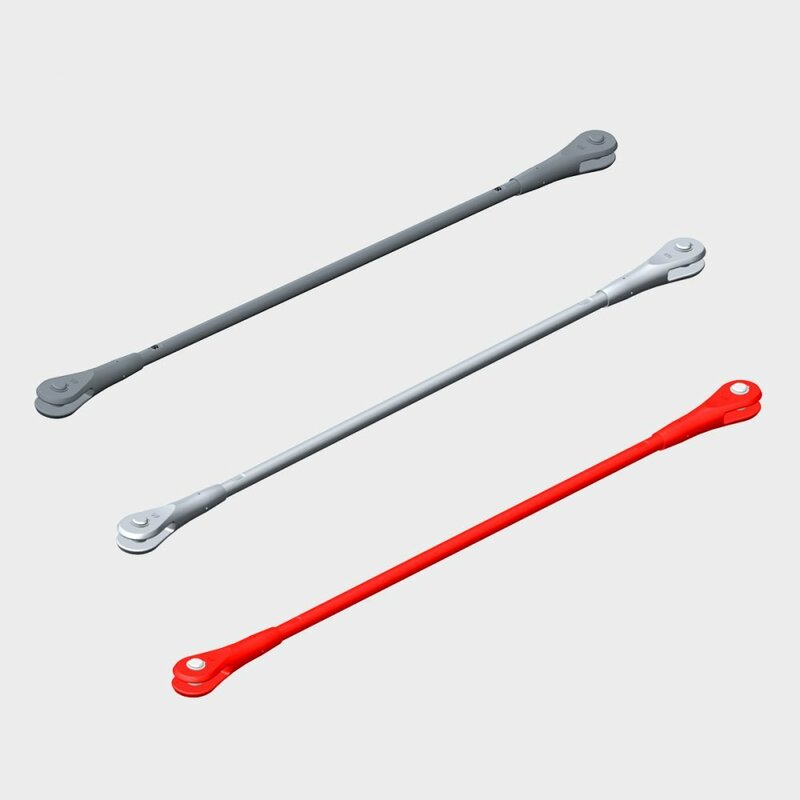 The standard system components are fork heads with pin and circlips, tension rod and cover nuts. If required additional elements can be added, e.g. cross or connection sleeves or circular plate. 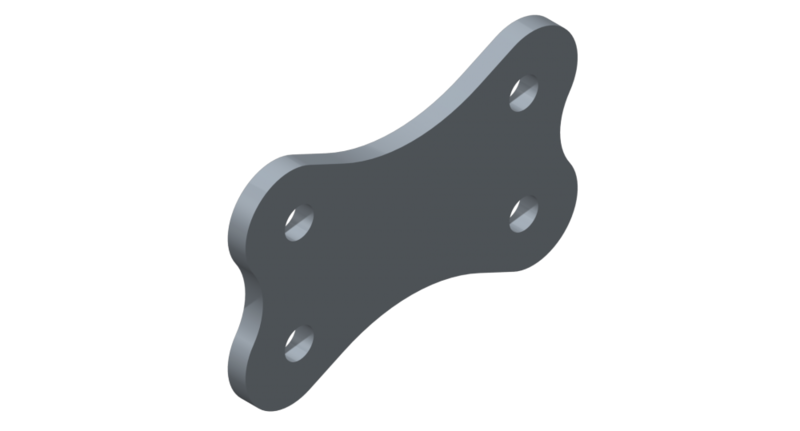 Steel grade S460 with higher yield strength 560 N/mm2 for a weight reduced, more delicate and cost-optimized construction. 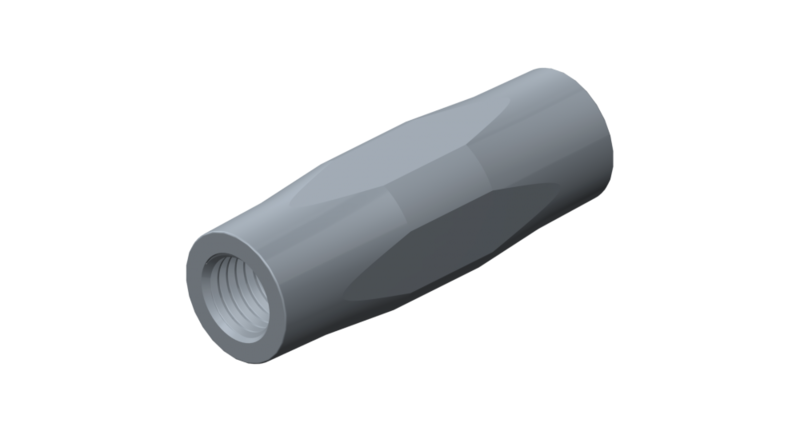 Easy visual inspection of minimum screw-in depths by covering the rod thread with the cover nut. 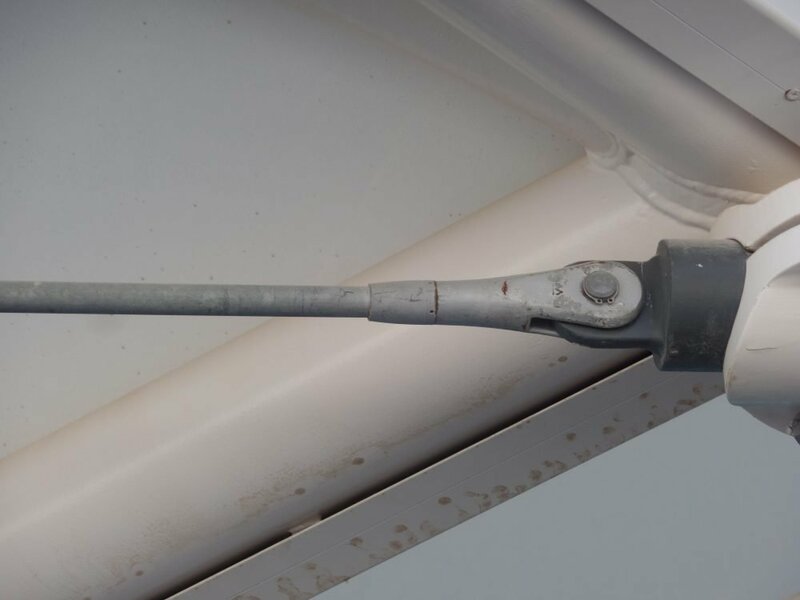 Not using a sight hole allows a quick, reliable check even in hard-to-reach installation locations. 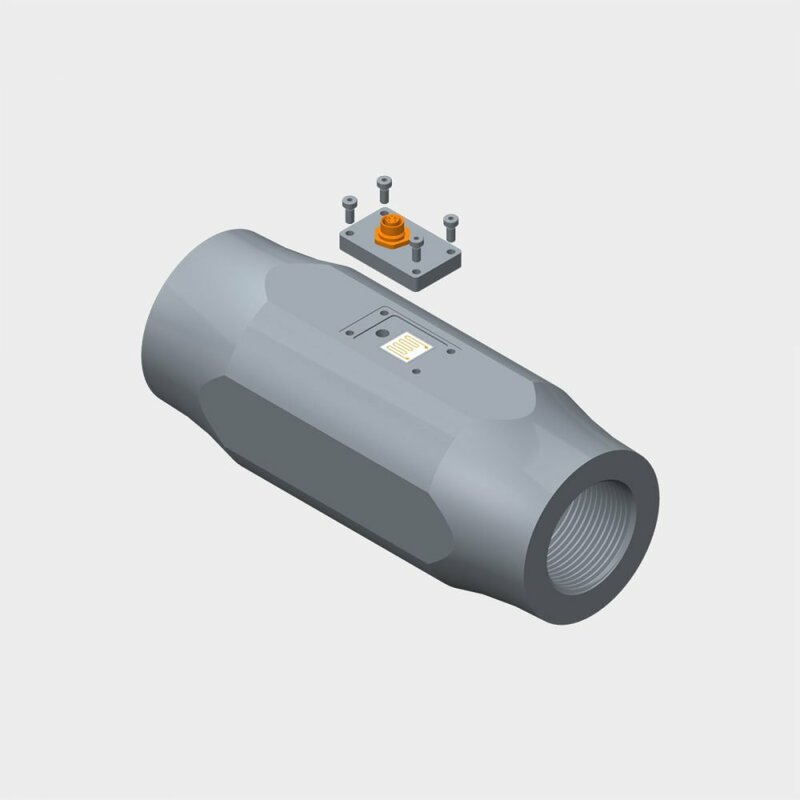 Closed fork head contour, without sight hole or through-hole threads, prevents the entering of moisture and corrosion. 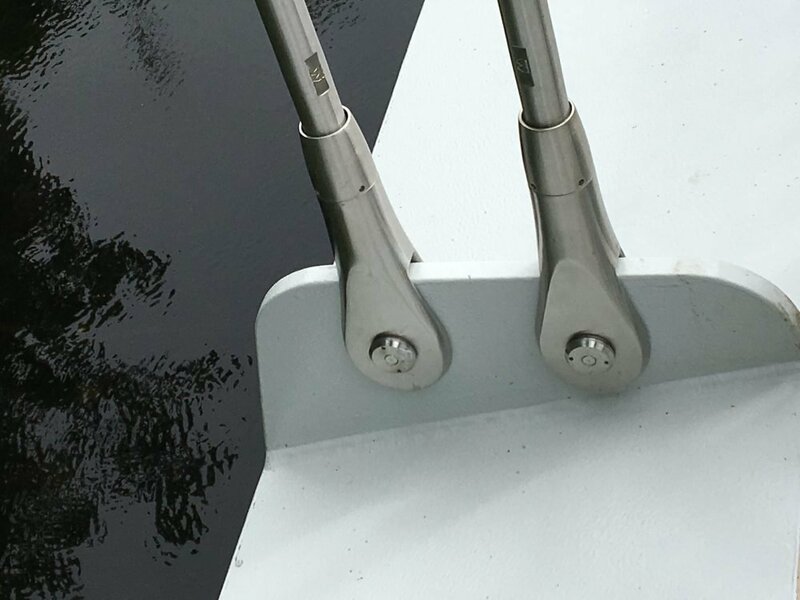 To ensure smooth transition from the fork head to the tension rod, all systems are delivered with a cover nut. 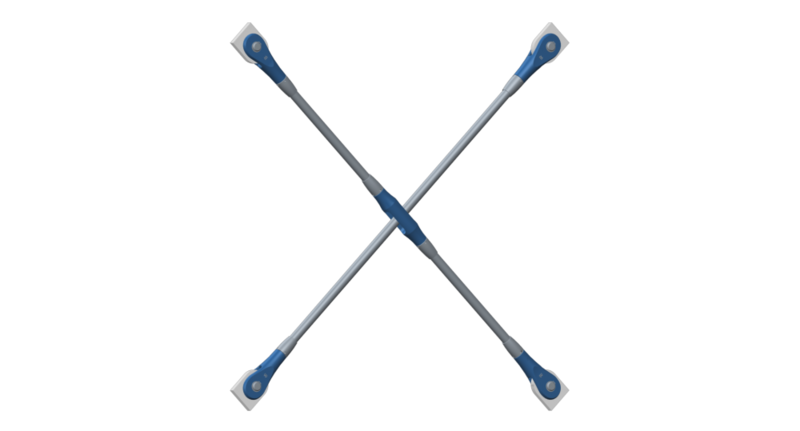 Easy length adjustment through left-/right-hand thread (turnbuckle function) and wrench flats (no additional turnbuckle is required). All systems are delivered pre-assembled and ready for installation. 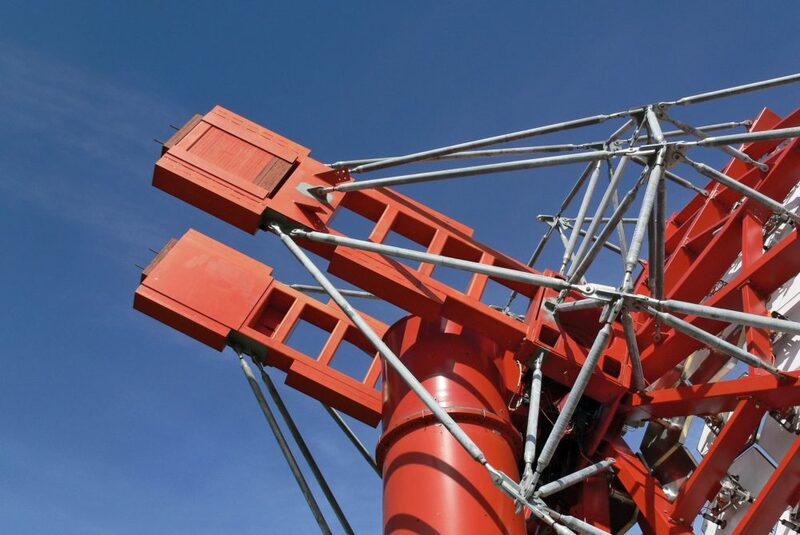 Complex, time-consuming assembly on the construction site is avoided. Fork heads made from high-performance steel castings ensure the necessary technological material properties even at low temperatures. 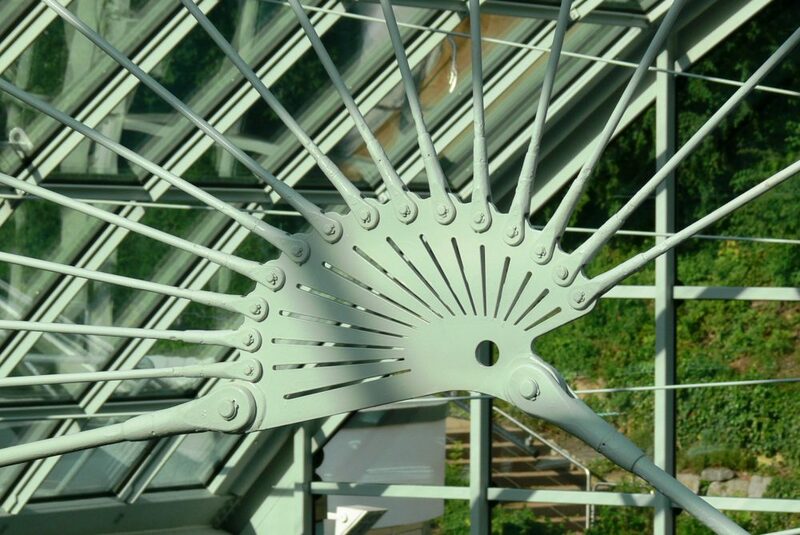 Hot-dip galvanized surfaces offer protection from corrosion; architectural appearance requires a surface coating. For a visually appealing and durable construction design in the viewable area. 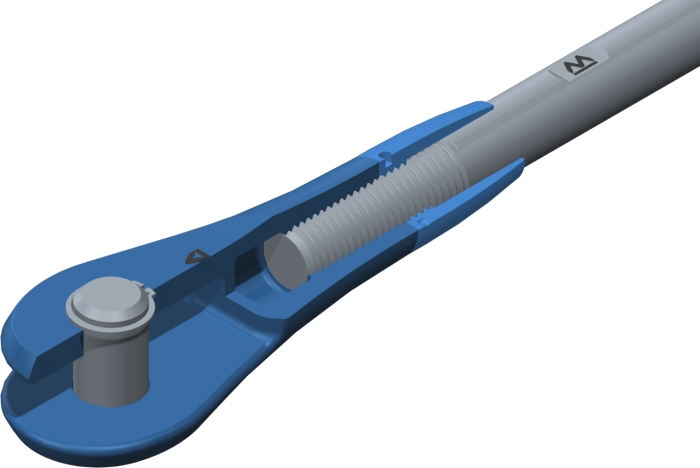 Easy visual inspection of minimum screw-in depths by covering the rod thread with the cover nut. Not using a sight hole allows for quick, reliable checking even in hard-to-reach installation locations. The m•connect connection elements are required as central node and crossing points in bracings. Connection lugs (gusset plates) connect the tension rod system with the other construction elements. 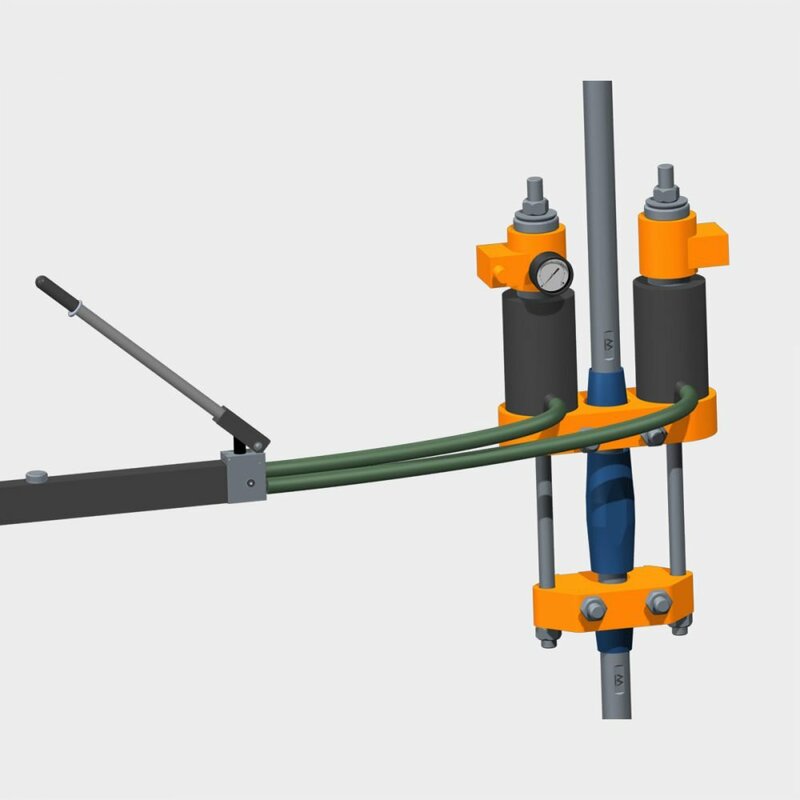 Hydraulic pretensioning unit for defined prestressing of tension rod systems and support during assembly, ensures a safe and professional installation. 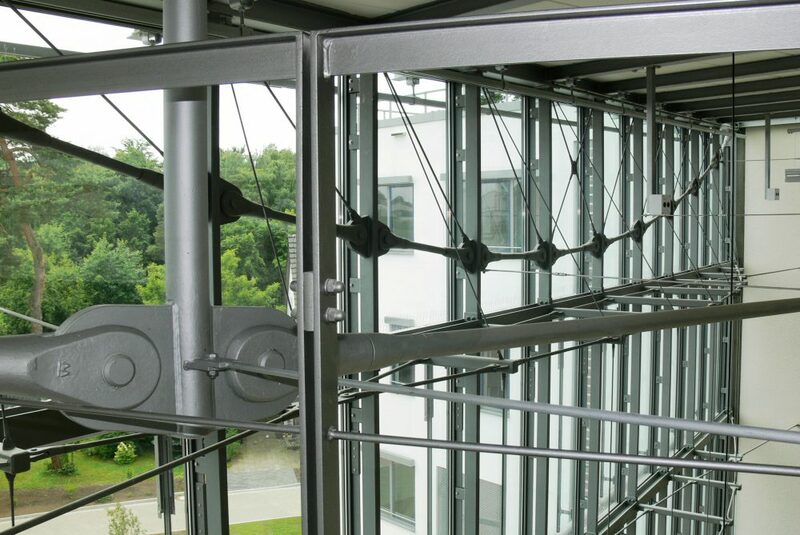 Integrated measuring technology ensures permanent monitoring of tension rod systems and thus the highest degree of safety for the entire building. A variety of surfaces, e.g. self-colored, primed, painted, hot-dip galvanized, powder-coated or special fire protection coatings such as F30 and F60 are available. 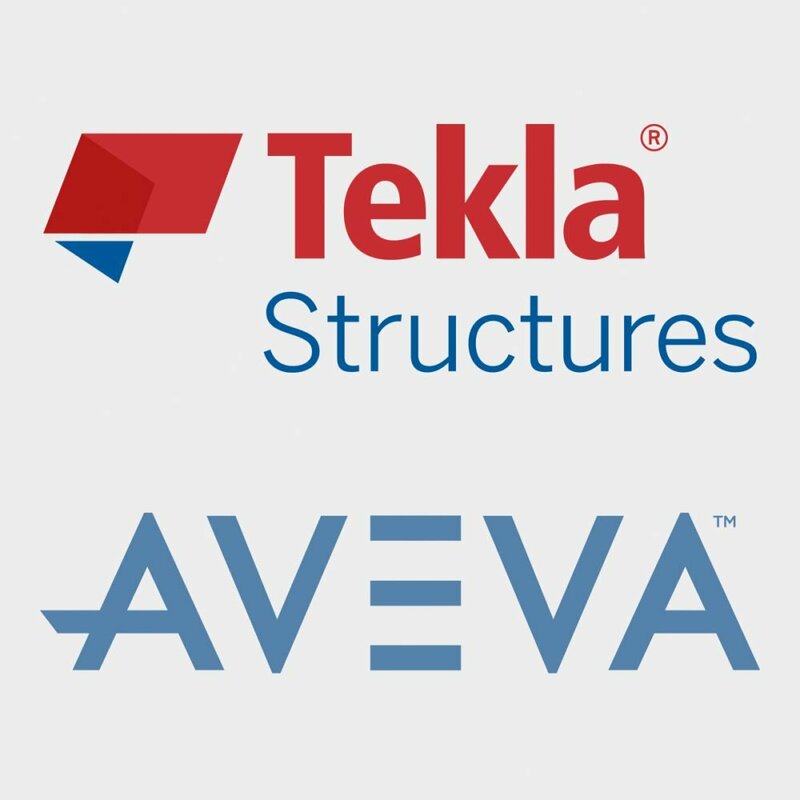 m•connect is integrated into all common BIM Softwares, such as Tekla and AVEVA Bocad. 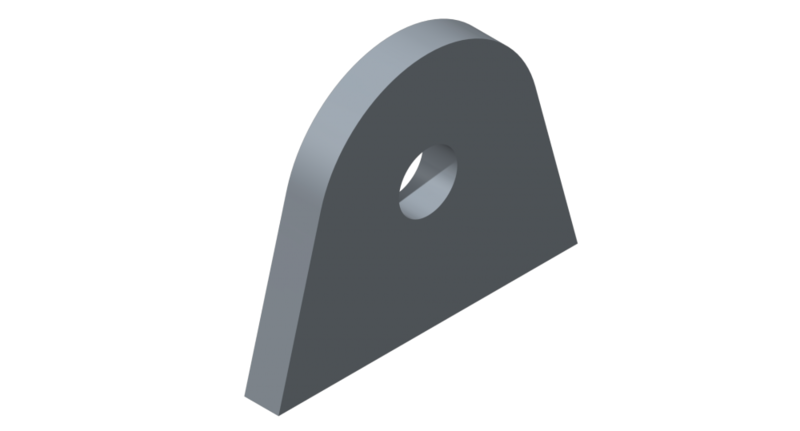 Drawing files for your design can be provided in a 2D or 3D file format.